Sandy Hook, our destination, is park of Gateway National Recreation Area like many of my favorite New York City birding locations. It curves up towards New York City from the east coast of New Jersey, and forms the southern boundary of Lower New York Harbor. As such, it is a rather strategic location, and has been used for military purposes at least as far back as the (American) Civil War. Here is where I could say that our trip to Sandy Hook was militaristic in terms of seeking out our targets and seeing them, but that would be a lie. We were actually rather lackadaisical about our birding day, though we did spend six hours scouring Sandy Hook from top to bottom. How did we do? Well, when we arrived at the hook we headed directly north to the “Observation Platform” that we feel is more of a hawk-watch platform than anything else. That is from where the photo of New York City above was taken. At the platform we spotted a bunch of birds moving early, as there was a relatively strong wind with some westerly components. American Kestrels, Osprey, and Turkey Vultures were the predominant birds, with occasional Sharp-shinned Hawk or Cooper’s Hawk moving as well. 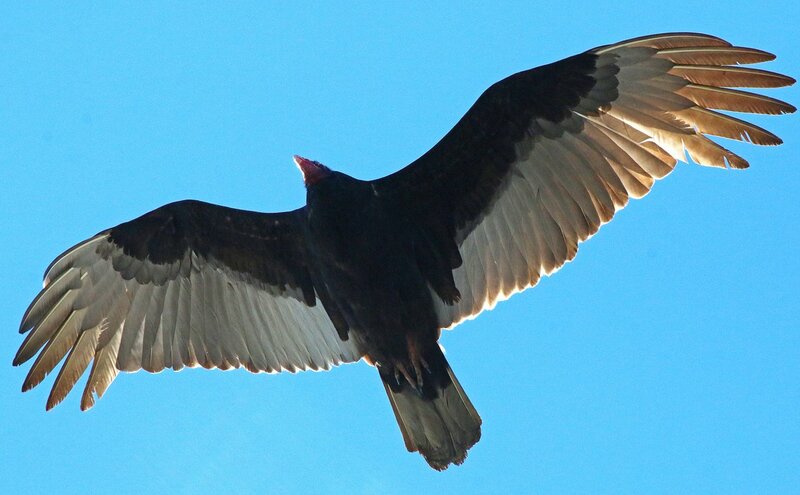 Like I said though, we weren’t very military-like and our hawk-watching soon flagged. So we headed to the south in search of passerines and seabirds. As soon as we stopped the car and got out I put my bins on a big group of gulls and realized why there were so many gulls. They were harassing a Short-eared Owl that had just come in off the ocean! Rich neatly followed that sighting with a Bald Eagle and then Seth found a Snowy Owl still lingering, and our day list kept growing! We scoured Sandy Hook and came up with more good birds like a late female Common Goldeneye, a Red-necked Grebe, my first Hermit Thrush of the year, to say nothing of a trio of swallows – Barn, Tree, and Northern Rough-winged. We all ended up splitting up as we wandered random paths through holly and cedar and eventually I came across two chickadees that had a rather fast “chick-a-dee-dee.” My brief looks at them convinced me I had Carolina Chickadees though by the time I managed to round up Seth and Rich the birds had disappeared. Later, we came across more chickadees but they sounded and looked like Black-capped Chickadees. This only makes sense as I later learned that the chickadees on Sandy Hook are all Black-capped Chickadees while the “mainland” of New Jersey there, Monmouth County, is entirely Carolina Chickadees. I’m not sure what was going on with the chickadees I heard by myself, but it seems likely that I was either mistaken in my hope to see Carolina Chickadees or they were Black-caps with a odd way of expressing themselves. Eventually we made our way back to the northern part of Sandy Hook and headed out to the point, but not before a confusing buteo with a light red tail, pale crescents in the wings, and extremely light patagial bars gave us fits for a bit, though it was really just a very pale Red-tailed Hawk. The walk out to the tip of Sandy Hook over loose sand was not fun, though it was worth it as we scored twenty-one Piping Plovers at the end of our walk. An Osprey carrying someone’s ornamental fish also went overhead, and I imagined a very upset owner of a koi-pond somewhere cursing the bird while shaking his or her fist. I think this Osprey is bragging about how easy it was to catch this fish. By the end of our walk to the point and back we were pretty tired, though we did linger at the hawk-watch for a bit watching kettling vultures and red-tails before giving it up for the day and heading back to New York. Seventy plus species made for a great time at Sandy Hook, and I highly recommend a visit. I had never spent so much dedicated time birding Sandy Hook and I can’t even imagine what a day with heavy migration would be like! 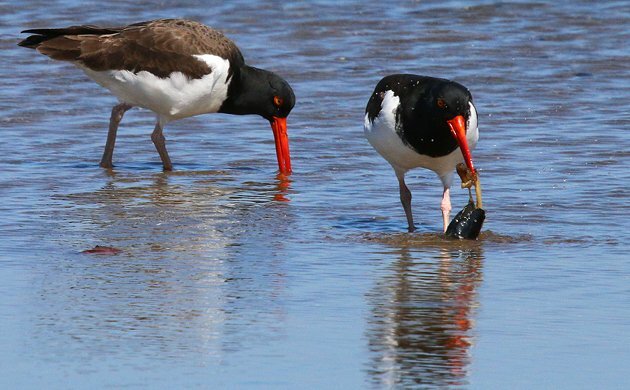 Like these American Oystercatchers, we soon stopped to fill our bellies! I love birding Sandy Hook, and miss doing volunteer duty at the NJ Audubon center there, now closed down. The thing about the Hook is that you never know how the birding will be–it can be full of migrant activity or it can be dead. Always windy! The Hook bird list is strange and interesting. Like you say, Black-capped Chickadees, not Carolinas. 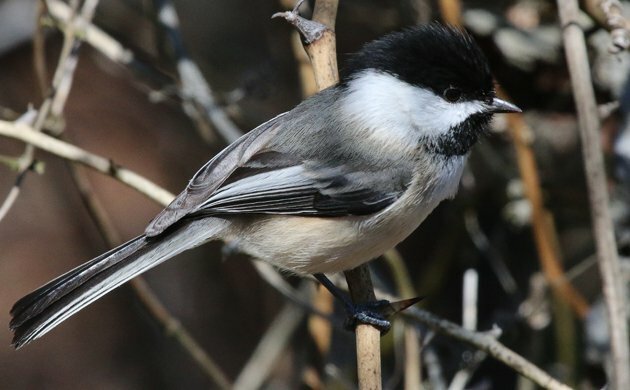 Is possible that the chickadees you saw first were Black-caps that somehow learned the Carolina song? Also, Tufted Titmouse is a very unusual bird for the Hook, though common on the mainland. Short-eared Owl is very unusual; I wonder how often it’s been seen in previous years? 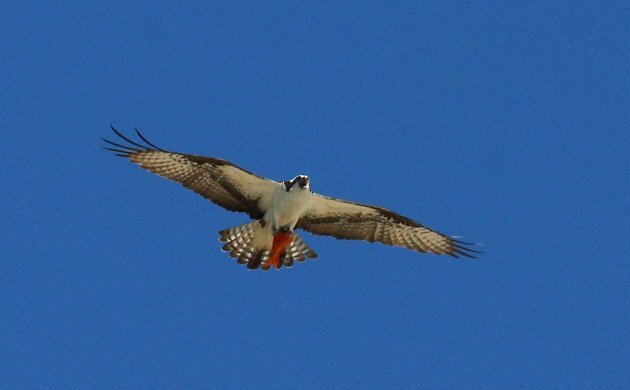 I once visited Sandy Hook NWR and recall observing an Osprey with a flounder in its talons. I always wondered how that bird captured that bottom dwelling fish. Just wonderful photos! 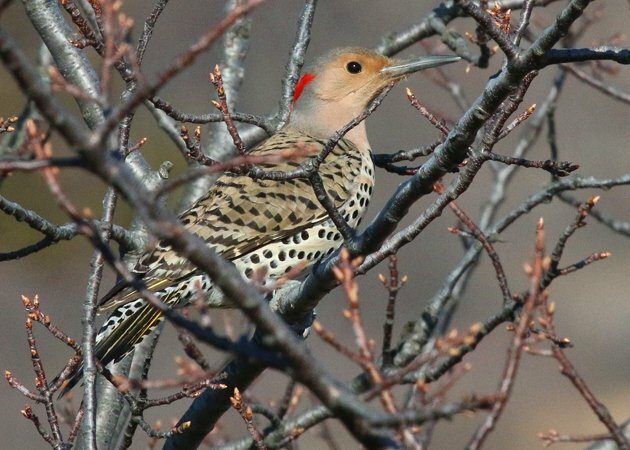 I’m always trying to photograph Northern Flickers and Chickadees, and my photos never turn out.